Description: New genuine Acer netbook cpu cooling fan & heatsink. 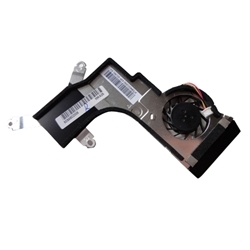 This original fan may be what you need if your netbook is experiancing overheating problems. Part #'s: 60.S6802.006, ATO84001010 KAUR 0A 093R, AT084001SS0.